“Attack” of the hurricane Katrina to New Orleans actually trebled number of heart attacks and heart attacks among residents, and noticeably increased the frequency of other problems with health of heart and tanks, physicians at an annual meeting of the American association of cardiologists in New Orleans declared. 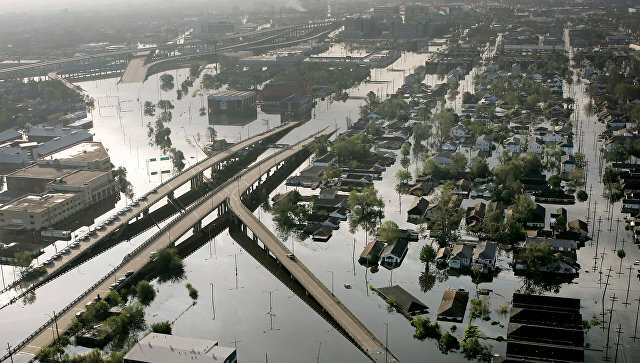 “After the hurricane Katrina destroyed our city, employees of many cardiological separations complained that residents of New Orleans literally flooded them with complaints. We were called on the house with suspicions of heart attack much more often than in days till the hurricane. And therefore I suggested colleagues to check whether this increase is coincidence, or it was really connected to Katrina” — Anand Irimpen from Tuleyn’s (USA) university declared. Irimpen and his colleagues clarified that communication between increase of heart attacks and other heart troubles and the hurricane Katrina really exists, having studied the data collected by health statistical services of New Orleans in two years prior to catastrophe during it and in 10 years after it. In particular, corrupting of the city a hurricane was connected statistically to trebling among heart attacks, growth of number of patients with a coronary heart trouble for 48%, people with high pressure for 81% and a row of other problems with health. All these effects, according to scientists, remain and today. How they could arise? Irimpen emphasizes that they didn’t find direct cause and effect relationship between a hurricane and increase of diseases yet, however all these problems can be created by the fact that Katrina deprived of many people of operation and destroyed infrastructure of New Orleans and Louisiana in general. It could force many people to throw a healthy lifestyle and to get addictions, such as an overeating and smoking. The possibility of it is specified by the statistics saying that the number of smokers and diabetics noticeably grew up in the city in recent years. Respectively, a failure of unhealthy food and tobacco and promotion of a healthy lifestyle can help residents and authorities of the state to get rid of this long-playing “consequence” of Katrina.